Christian Carter holds a sign outside of the Pittsburgh Public Schools Administrative building in this June 21, 2017 photo. The board formed the working group in August after it voted down a last-minute policy revision calling for a ban on using suspensions in the early grades. Advocacy groups and the Council of Great City Schools, a consultant hired last year, have been calling for the district to stop using the punitive measure, but board members and the union representing the district’s 3,000 teachers were wary that teachers needed more support. Some board members voiced concern at an education committee meeting Wednesday night that the recommendations would be costly. Board president Regina Holley said that shouldn’t be a deterrent. 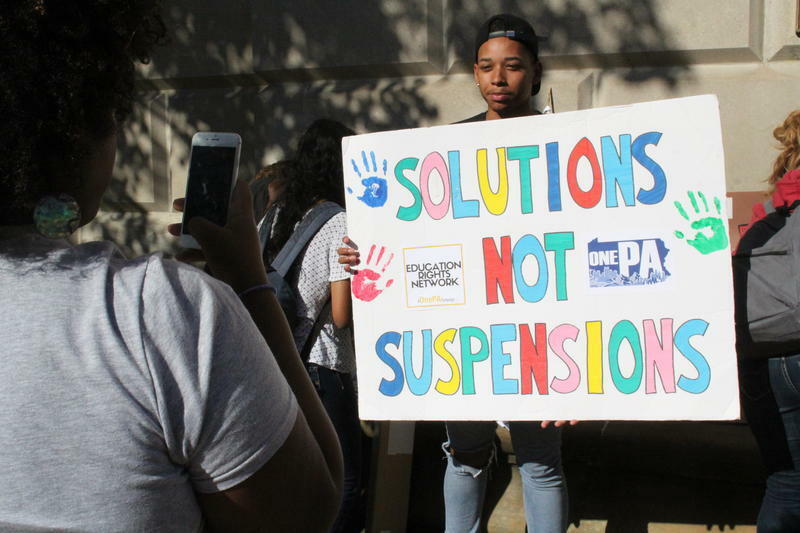 That investigation and the report from the Council of Great City Schools both note a significant disparity in which students are suspended; according to the Education Rights Network, black students at PPS are suspended four times as often as white students. The committee of teachers, principals, students, parents, community members including university representatives and board members was also tasked with defining violent and non-violent offenses. Vandalism, harassment, fighting, bullying and physical altercations would still warrant time away from the school building, according to the group. Academic dishonesty, misuse of electronic devices or profane language should be dealt with in the school. The group also recommended a “cool down” room in every building where students could meet with a full-time counselor or social worker. Board member Thomas Sumpter was part of the working group. He said the recommendations were a step in the right direction, but that there is more work to be done. He suggested the central office staff take over the work. It’s unclear when the board will vote on a revised suspension policy. Board member Moira Kaleida did ask superintendent Anthony Hamlet to include funding for additional support staff in his next budget proposal. A western Pennsylvania school board has a new, openly transgender member. 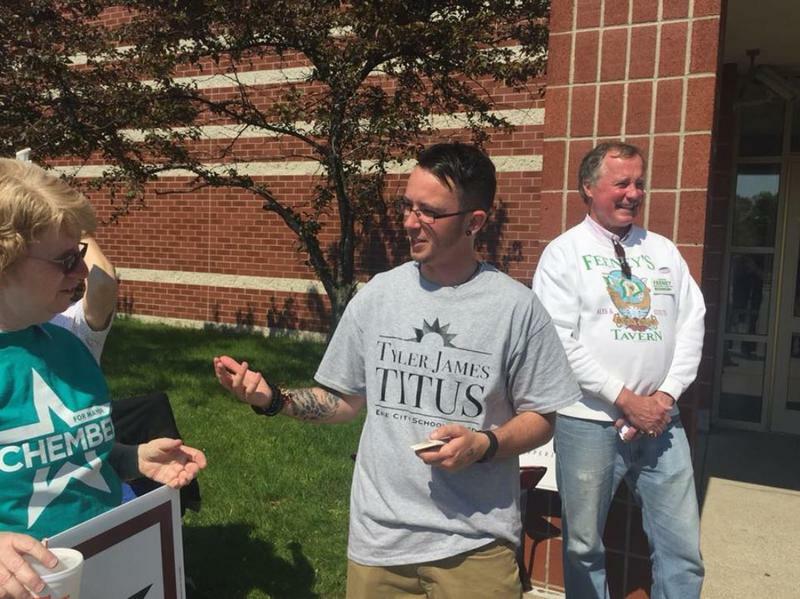 The Erie Times-News reports Tyler Titus won one of four open seats on the Erie School Board on Tuesday. The Victory Fund, a political action committee dedicated to electing openly LGBT people, says 33-year-old Titus is the first openly transgender person ever elected in the state of Pennsylvania. Titus is a clinical therapist and Democrat who won a write-in Democratic nomination in May.